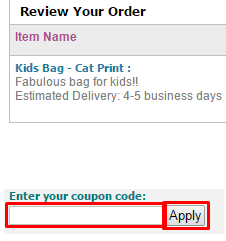 How To Use FirstCry Coupons? FirstCry is Asia's largest online portal for Baby and Kids products. There are over 70000+ products that are sold from 400+ top Indian and International brands. Find categories such as Diapering, Feeding & Nursing, Toys & Gaming, Bath, Skin & Health Care, Clothes & Fashion, Footwear, Gifts, Books, Moms & Maternity and School Supplies. FirstCry offers products that are of fine quality, durable from top brands at affordable price. Shop for your little toddler from your smartphone or tablet from anywhere in the world. FirstCry has mobile applications for Android and IOS. Firstcry.com mobile app is very easy to use with a few simple steps from your digital electronic devices. 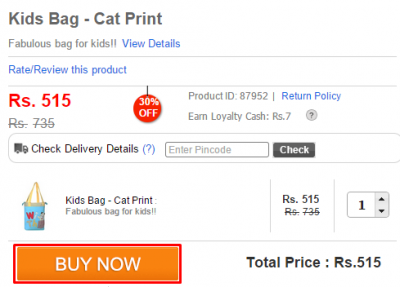 FirstCry Coupons and FirstCry offers can get you products for kids and babies at discounted price. Gini & Jony, Ben10, Pigeon, Mattel, Funskool, Hotwheels, Farlin, Barbie, Pampers, Medela, Gerber, Disney, Fisher Price, Sun Baby, Camel, Simba, Nataraj, Baby Hug, Angry Bird and many others are the popular brands available at FirstCry. Diapering includes products such as Baby Diapers, Baby Wipes, Cloth Diapers, Nappies, Diaper Rash Cream, Diaper Bag, and Potty Training. Feeding & Nursing products offered at this shopping online store include Teethers & Soothers, Bottles & Accessories, Bottle Cleaning & Sterilization, Sippers & Cups, Dishes & Utensils, Bibs & Hanky, and Formula & Supplements. Bath, Skin & Health Care include products like Bathing Accessories, Soaps, Shampoos & Body Wash, Lotions, Oils & Powders, Baby Creams, Ointments, and Grooming. Footwear offered at this store are Booties, Sandals, Slippers/Flip Flops, Casual Shoes, Formal & Party Wear, Clogs, Bellies & Peep Toes, Sneakers & Sports Shoes, and Plush Slippers. Fashion includes products such as Clothes, Kids Jewellery, Kids Sunglasses, Watches, Hair Bands, Hair Clips & Rubber Bands, Handbags & Purses, and Makeup & Cosmetics. Toys & Gaming products at FirstCry include Teethers & Soothers, Baby Rattles, Bath Toys, Blocks & Stacking Games, Musical Toys, Outdoor Play, Swimming Gear & Accessories, Learning & Activity Toys, Remote Controlled Toy, PC/Console Gaming, Soft Toys, Dolls & Dollhouses, etc. Moms & Maternity products include Nursing/Sleep Wear, Tops, Bottom Wear, Ethnic Wear, Dresses & Skirts, Lingerie, Footwear, Breast Feeding, Personal Care, Diaper Bag, Parenting Books, and Organic & Supplements. Books & CD products like Fun & Learn CD/DVD/Movies, Story Book, Read & Learn, Comics & Graphic Novels, Activity Book, Puzzle Book, Coloring Book, and Hobby & Slam Books are also available here. Baby Gear & Nursery products include Baby Furniture, Kids Furniture, Storage & Organization, Kids Accessories, Wall Paper & Sticker, Baby Bedding Sets & Pillows, Blankets, Quilts & Wraps, Kids Room Decor & Furnishing, Travel Accessories, Mosquito Nets, etc. Gifts category include products such as Birthday Kit, Wall Decor & Balloons, Table Cover & Décor, Theme Candles, Hats & Hand Fan, Carry Bags, Plates Cups & Treat Sacks, Party Sticker & Blow Out, Napkins, and Return Gifts. These products are available at reasonable rates including huge discounts. Use FirstCry Coupons and FirstCry Offers to purchase products for your child at a cheaper price. Find all the latest FirstCry Coupons and FirstCry Offers at CouponRani to enjoy an incredible discount on every purchase that you make. During festivals, you will get exciting offers accordingly like Diwali Offer, etc.